If I could gather the words to express my joy to you... I still don't know that I could fully get it across. 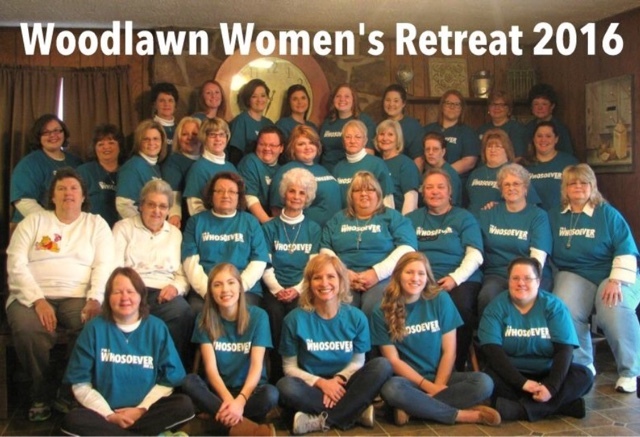 My heart is full to bursting with the love I have for these women and the love of our Great Savior that was displayed and talked about this past weekend at our annual retreat. The last two years we stayed at this amazing cabin that could fit all of us plus 20 more probably... This year, due to a couple of situations, we were not able to get that cabin. We got a cabin that was much, much smaller, but my oh my... the Spirit of the Lord was so present in the place. Maybe it was because of close quarters, but most likely it was that He poured His Spirit out because He knew how desperately we needed Him. Probably more this year than ever before. And you know what? He supplies our needs... right when we need them most. One of my biggest blessings was that my 18 year old daughter joined me on the retreat this year for the first time. My Mom was there with me too, my sister in law, my eldest niece, my aunt, and some of the ladies in my church that I hold very near and dear to my heart. I missed my sister and my first cousin this year, but hopefully next time. Another very special blessing was that a sweet, sweet friend of mine that I made in 1993 while working together in a little video store, now goes to church with me and went on this retreat. I am so thankful for all these blessings! I love these women dearly and I am thankful for the time I was able to spend with them. I'm thankful for the inspiration I gathered from them. I hope to share a little more tomorrow, with the devotion that the Lord taught me and that I shared with them.